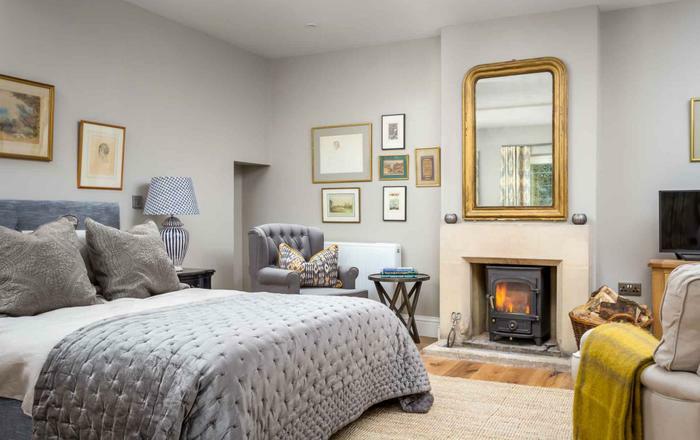 Location: Siamber Wen is in the heart of Anglesey, a mile from the hamlet of Trefor and just 6 miles from the popular beaches at Rhosneigr. 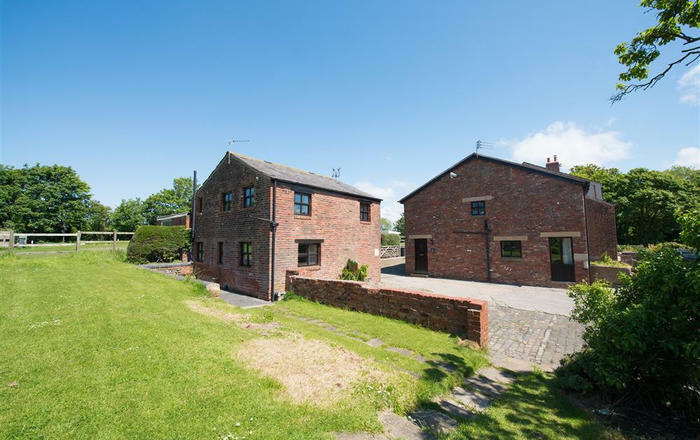 This detached stone cottage has extensive views all around and a beautiful sunny garden with lots of space for children to explore. Next to a quiet country road it offers a peaceful location to relax. 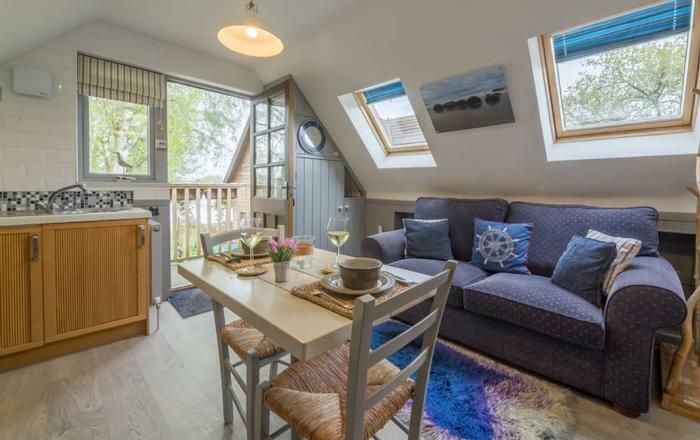 Accommodation: This charming property has 2 bedrooms, one ground floor double with views and an upstairs double aspect beamed attic room (accessed via steep narrow stairs from the kitchen) which has a double bed and single. The bathroom (bath with shower over) is ground floor. The kitchen has views of open countryside to the rear of the house. The double aspect beamed lounge-diner with open fire has a comfortable window seat to admire the pretty garden. There is ample off road parking space for up to 4 cars or trailer and use of the garage for storage. 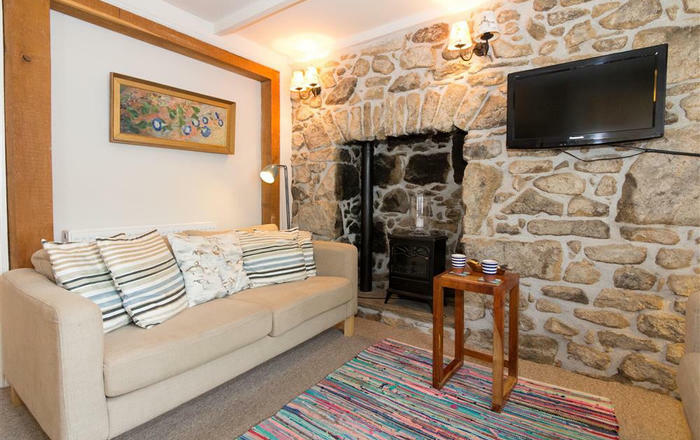 Facilities include central heating, log burning stove, washing machine, microwave, freezer, flat screen TV/DVD with DVD's, CD player, garden furniture. A cot is supplied but no high chair. Bed linen and towels are supplied. Electricity is included in the summer tariff with a seasonal heating supplement of £20 per week. Pets are welcome. This is a no smoking property. This cottage has a £150 refundable accidental damage bond. Alternatively, you can choose to pay a non-refundable £15 accidental damage waiver so you don't have to pay the bond and are protected from accidental damage claims at Siamber Wen up to a value of £150.